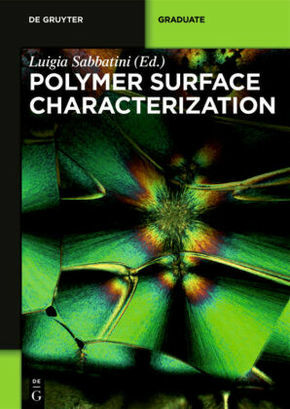 Polymer Surface Characterization provides a comprehensive approach to the surface analysis of polymers of technological interest by means of modern analytical techniques. Basic principles, operative conditions, applications, performance, and limiting features are supplied, together with current advances in instrumental apparatus. Each chapter is devoted to one technique and is self-consistent; the end-of-chapter references would allow the reader a quick access to more detailed information.After an introductory chapter, techniques that can interrogate the very shallow depth of a polymer surface, spanning from the top few angstroms in secondary ions mass spectrometry to 2-10 nm in X-ray photoelectron spectroscopy are discussed, followed by Fourier transform infrared spectroscopy and chapters on characterization by scanning probe microscopy, electron microscopies, wettability and spectroscopic ellipsometry.